True grit. You’ve either got it, or you haven’t. For some, it’s a virtue that is developed out of desperation - tactical obstinacy employed to endure - yet, for others, it’s simply their ingrained means of survival: living to fight, and fighting to live. 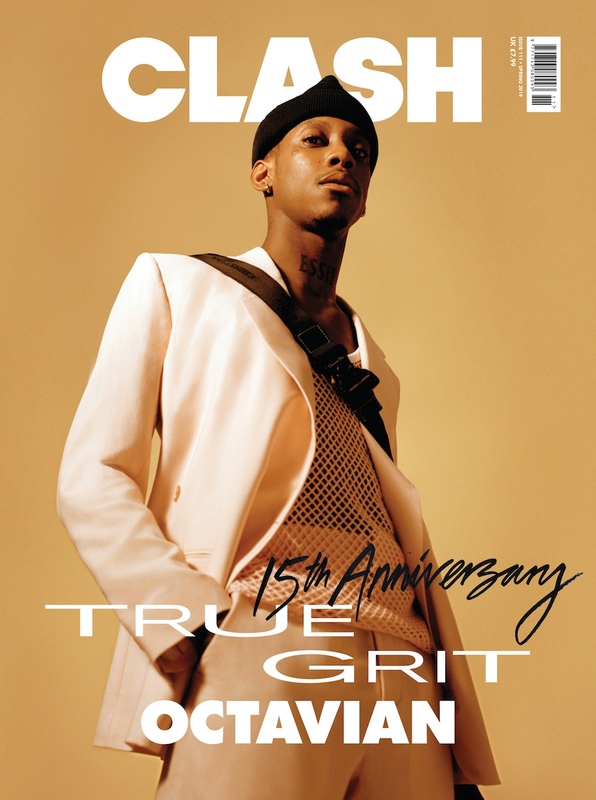 As Clash strides defiantly into our 15th year, we proudly present a new issue that gives praise to a selection of such assiduous souls. Ever since his early teens, Octavian has pulled destiny into his own hands, leaving home at the age of 14 and disconnecting with his family. Chasing his dreams came with costs - including a stint of homelessness - but this forward-thinking tactician has never limited his ambitions, incorporating a tunnel vision mentality to reach his goal. Since receiving a co-sign from Drake (who played ‘Party Here’ on his Instagram story last January), the London-based rapper’s accelerated rise has finally lifted him to a place where he can put into practice all the lessons he’s learned along the way. Also featured in this issue is Lizzo, Lil Pump, Ezra Collective, Loyle Carner, Little Simz, Sigrid, Col3trane, Joji, David Crosby, Soak, and much more. Final cover to follow. Octavian wears jacket, trousers and bag by Dior.